I never thought I would be able to get my hands on this, as it’s incredibly different to get a hold of. Everybody goes crazy for this limited edition bath bomb, which means it sells out within seconds. This year, Roller has been available through the kitchen or through the Oxford Street store; specially for Valentines Day. 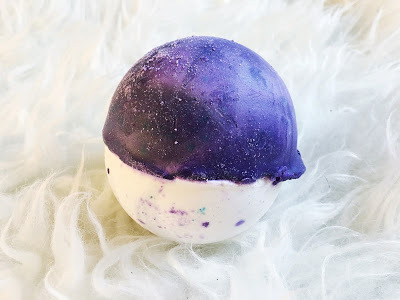 Roller is half bath bomb and half bath melt, and it shares its scent with Yummy Mummy which is like sweet strawberries. This bath bomb contains Cocoa Butter, Geranium Oil and Tonka Absolute being the main. 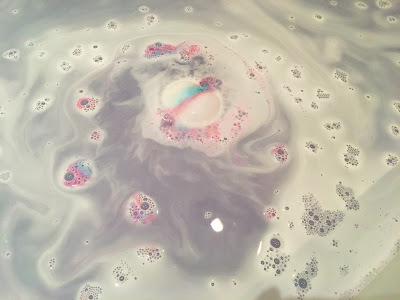 To me this is fruity, but with a hint of vanilla which makes for an incredible smelling bath bomb. I have heard of people getting ‘bad’ versions of these, so I was a little bit terrified that this would be one of those considering the excitement of finally being able to get one. So that is something to keep in mind. When I first placed this in the water, nothing happened. 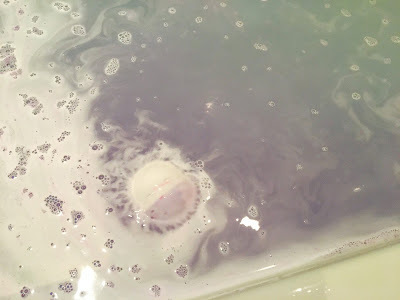 Some bath bombs start firing colours out left, right and centre as soon as they hit the water, but this one left faint purple and white until we got to the centre. 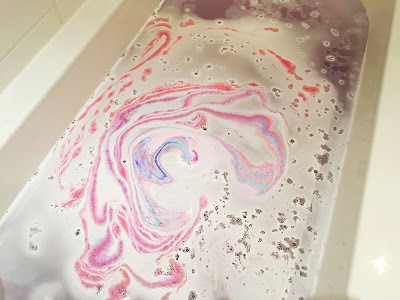 Once you hit the centre colours of pink, purple and blue stream out leaving the water purple with a white layer of froth over the top. This is also a really slow fizzer, as mine took about 10 minutes to fully dissolve. 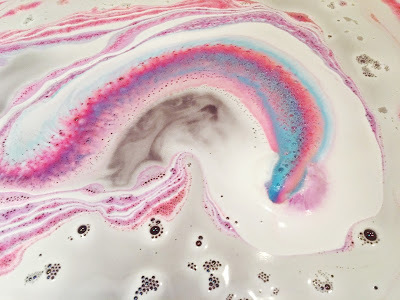 If you like a moisturising bath with pretty bath art then this is for you! It’s also a little similar to 2018 Mother’s Day release: Madame President. 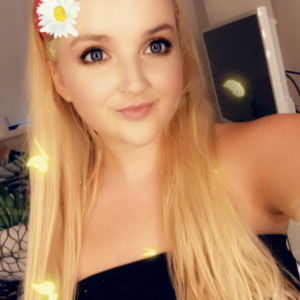 "Dr Botanicals Advanced Purifying Overnight Masque Review*"
This makes the water look beautiful! I love moisturising bath products too so this would be great for me. 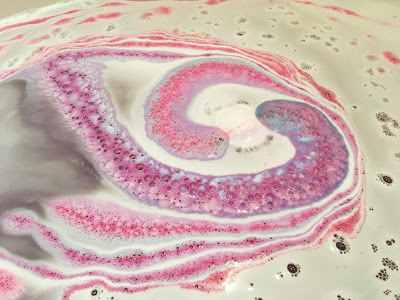 Lush bath bombs just can't be beaten, there is just something so lovely about having a Lush bath. Love the colours of this one! Wow this looks amazing! Gutted I didn't know about this earlier and I would've picked one up! I've never even heard of this bath bomb (I don't think it was available in North America) but it looks amazing!